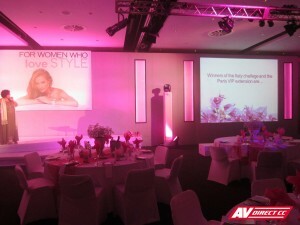 AV Direct supplied staging, led lighting, sound and set design for this beautiful Miglio Awards Dinner and Presentation. 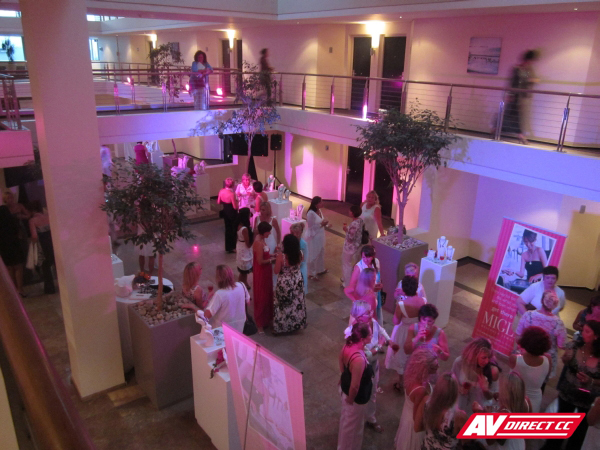 Our new LED lights from BriteQ were used to colour wash around the venue. 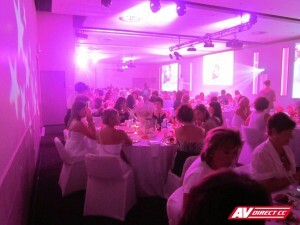 Stage Colour 48 Lights were used. 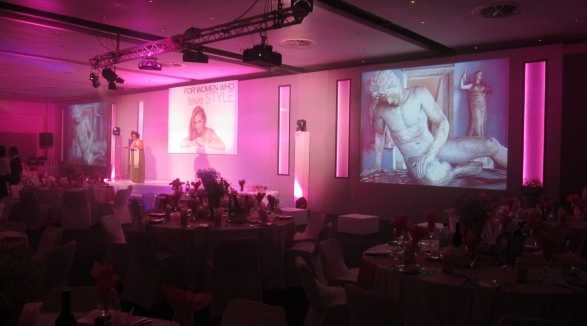 BriteQ BT 60 LS Spots were used to create beamwork and gobo’s around the venue. 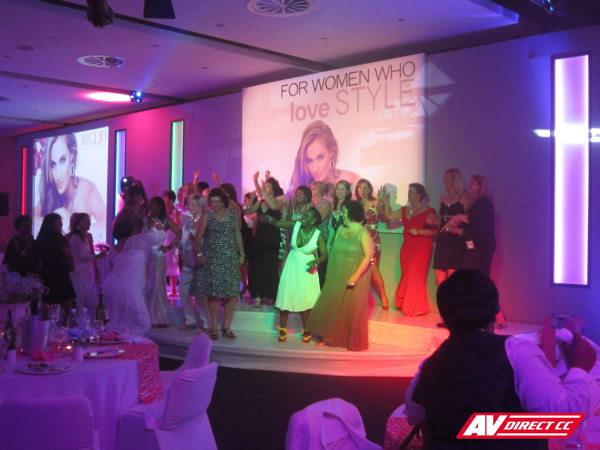 The BT W91 Wash Lights were used to move colour lighting around the venue. 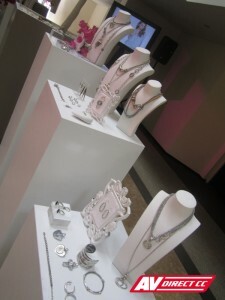 The morning kicked off with a stunning display of Miglio Jewellery around the atrium of the Lagoon Beach Hotel. 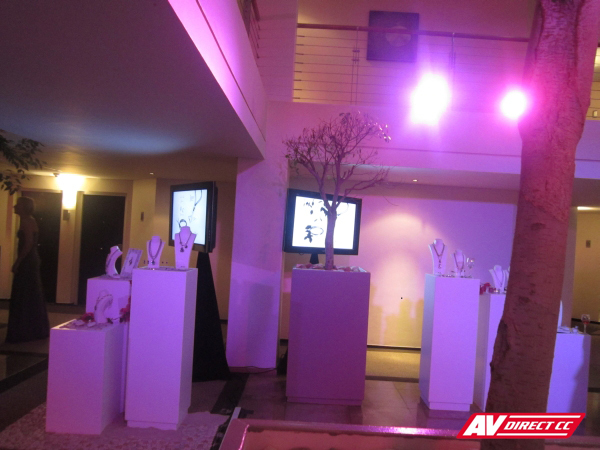 AV Direct supplied LED Lighting, 42″ Sonic LCD Screens, Kramer Switchers and JBL Pro Audio for this setup. 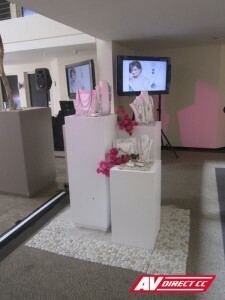 AV Direct also supplied white plinths for the displays.